A proposal to allow construction waste from Quebec to be dumped at a processing facility in Carp has been trashed. Waste Management Canada had sought and won approval from Ontario's Ministry of the Environment and Climate Change to transfer construction and demolition waste from western Quebec to the Ottawa processing and recycling facility at 2301 Carp Rd. The city announced last week it planned to appeal the decision. 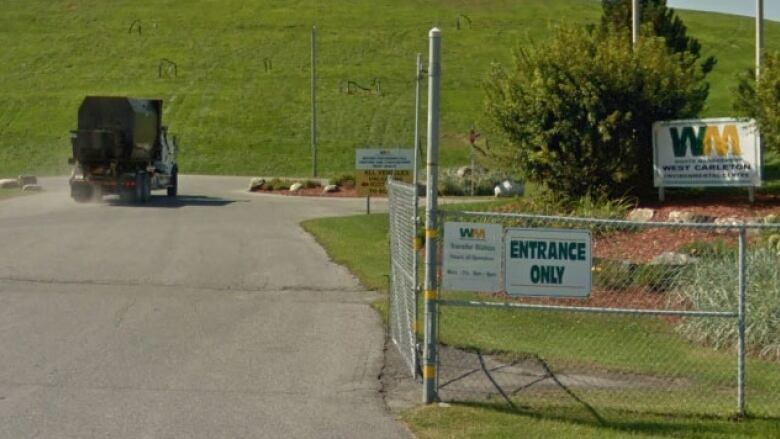 But on Monday Waste Management said after talking with city officials, the company is backing away from the plan. "After discussing the matter with the city and the ministry, we have decided not to proceed with our proposal to include portions of Quebec within the service area for the West Carleton Environmental Centre and ... we will as soon as practicable take such steps as are necessary to amend the [Environmental Compliance Approval] accordingly," said spokesperson Wayne French in a letter to city councillors and community stakeholders. During public consultations on the plan last year, members of the public raised concerns about increased truck traffic flowing over the bridge into Ottawa, and worried Ottawa could become a dumping ground for other regions. Shad Qadri, the councillor for Stittsville where the Carp Road facility is located, said he was pleased with Waste Management's decision. "My concern is more so with the waste management site here on Carp Road. The site as is will get double in size in the future and I don't know if I want that site to start accepting garbage from anywhere and everywhere," Qadri said in an interview. "In my community people were very concerned about opening the door to waste coming from the Quebec marketplace or even the rest of Ontario." He added that he hopes the company is "true to their word" and will adjust the environmental compliance approval accordingly. An earlier version of this story incorrectly said the Environmental Review Tribunal approved the transfer of waste from Quebec. The approval was given by the Ministry of the Environment and Climate Change.